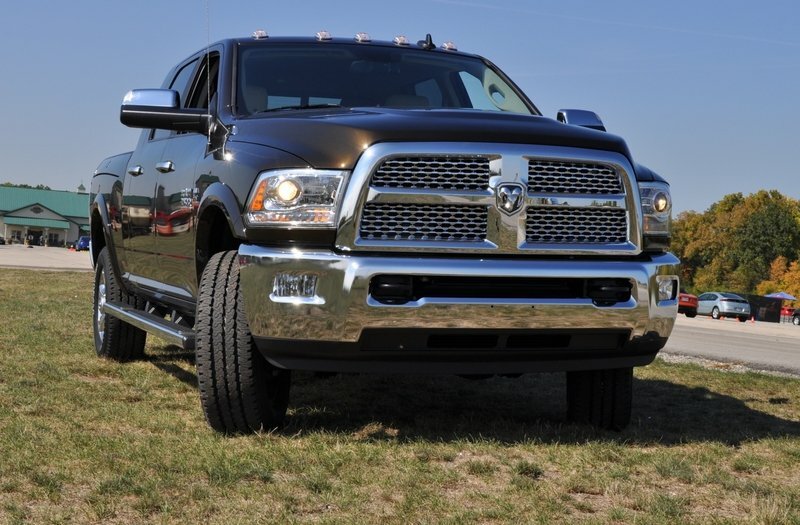 The 2014 Ram Heavy Duty is heavily revised with new air suspension options, an all-new interior, and a fifth-wheel trailer towing option that allows these huge trucks to hitch a trailer right into the bed of the pickup truck. The Heavy Duty Ram line also brings a mild exterior refresh with the projector-beam lights on posh trims like the Laramie test truck. A quick spin was enough to have me looking for poundage to haul somewhere, maybe a friend who likes to ride dressage horses competitively? Sadly, not enough time to test the limits of this tall workhorse by towing some show ponies out back. This all-new 2014 Mega Crew Cummins 2500 is the big chief of the Ram family, with over 800 pound-feet of torque and tow ratings that would make a tractor trailer blush with embarrassment. For a non-truck-guy, the 2500 Ram is generally thought of as the 20,000-pound trailer max — in the right settings. The 3500 Ram is now in a class of one with a 30,000-pound towing max, again with the right option boxes ticked. With base pricing just below $30,000, how does the Ram HD line compare with the best-sellers from Ford and Chevy? 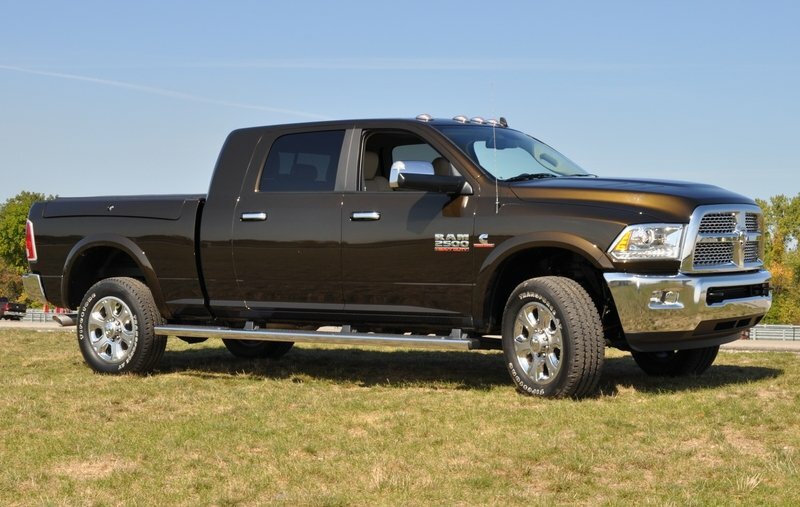 Click past the jump for the full TopSpeed Driven review of the 2014 Ram Heavy Duty 2500 Diesel. 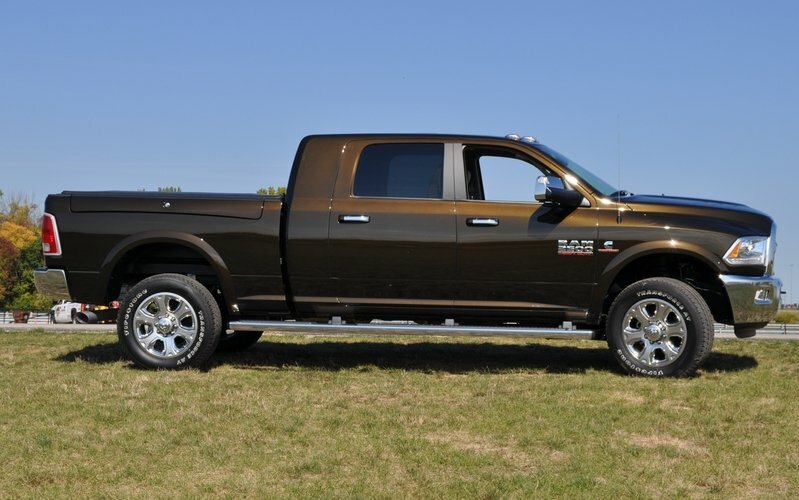 How Does the 2014 Ram 2500HD Cummins Look In Real Life? 2014 Ram Heavy Duty 2500 Cummins Diesel Laramie. That is a long name. Our tester was a 4x4 Mega Cab, but there are only so many words that can fit in a title. The exterior of the Ram HD models now falls in line with the recently-refreshed Ram 1500. The other changes are mainly trim and color refinements across the numerous different trim levels. Design-wise, the Ram HD is still very imposing on the road with a very tall ride height and even more prominent grille and bumper areas. The latest refresh slimmed the headlights slightly versus the wide-eyed appearance of the previous facelift. The Ram HD also includes LED taillights for the first time and a variety of available exterior mirrors that include blinker repeaters and puddle lights for the first time. The RamBox is now a popular feature, and for good reason: it is like having a lockable sedan trunk in a pickup. Another HD-exclusive that cannot be paired with the RamBox might be even more helpful, however. The Ram 3500HD brings a new option that includes fold-down metal sides of the pick-up bed, to create an instant load surface for items wider than the bed itself. 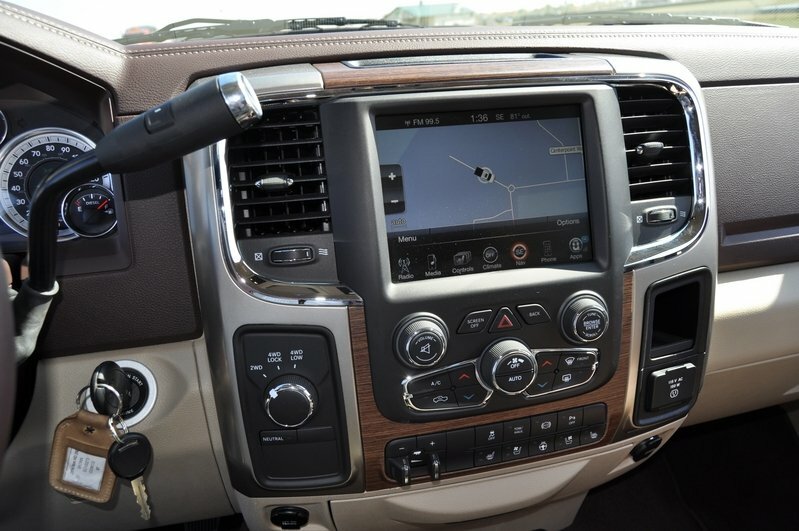 How Does the 2014 Ram HD’s Interior Feel? This top engine and loaded trim line is huge and impressive in any parking lot, and I hopped right out of the new Ram 1500 EcoDiesel and into this big bronze stallion for a quick test route. 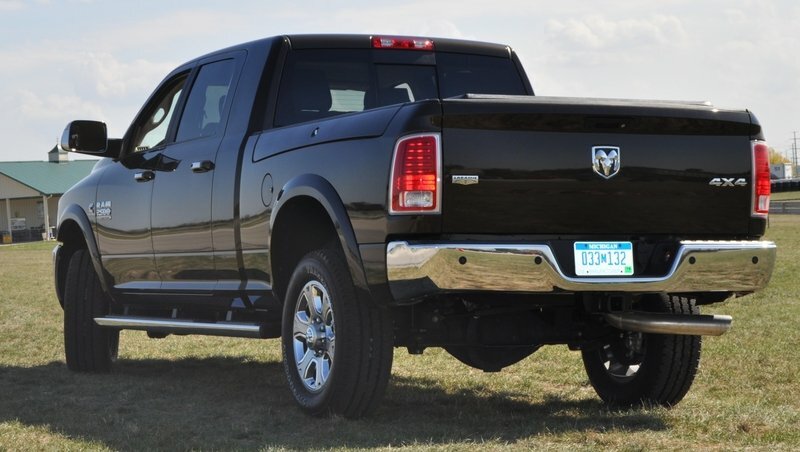 As with all pickup trucks (or any trucks, for that matter), the new 2014 Ram Heavy Duty line also touts its improved comfort, tech and efficiency to go along with the updates from above. 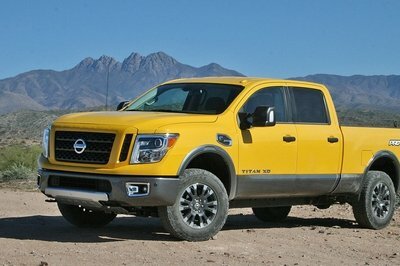 As the small EcoDiesel was totally smooth, silent and easy to drive (for even a newcomer to reviewing pickup trucks), how did the big 2500 Heavy Duty Cummins compare from the driver’s seat once things got rolling? 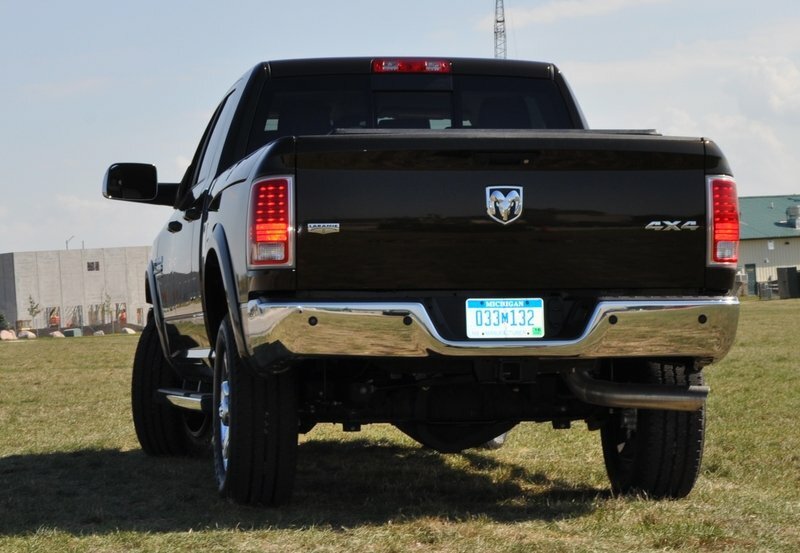 How Does the 2014 Ram HD Drive? The most notable aspect of the step-in to the HD Ram trucks is a ride and floor height that feels about a foot taller than the low-slung settings of the 1500 EcoDiesel’s air springs. Once aboard, the driving position is good and highly adjustable - Ram Trucks is proud that nearly any size adult can safely and confidently drive the HD. How can they make that claim? The combination of a huge range of seat movement - for these all-new chairs - and the reach/rake of the steering column adjustment is far broader than before. The real winner is the power-adjustable pedals, which make it easy to stomp down on the gas like a trucker zooming toward the "Fresh Donuts Now" Krispy Kreme neon. 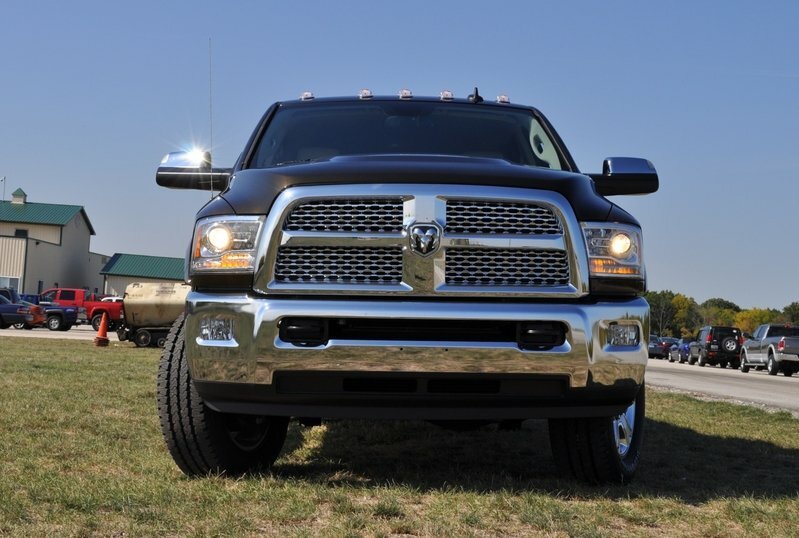 For a new-comer to the pickup world, the Ram HD Cummins is not very refined or friendly versus the smaller EcoDiesel or the two available Hemi V-8 sizes. There is significant gas pedal pressure to remind you the HD uses hard-proven components instead of electronic throttles. 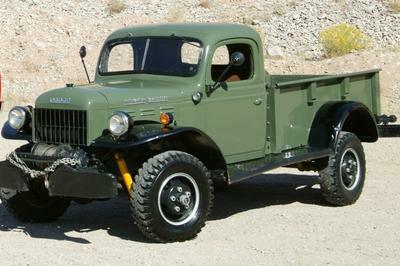 Even so, it is not a truck say begs to be flogged. 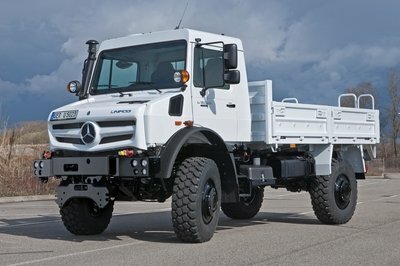 The dimensions of the Mega test truck also discouraged any speedy antics. 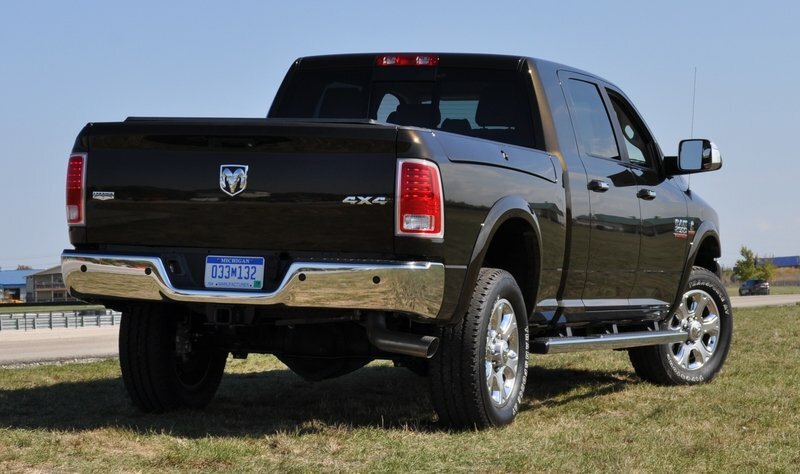 For the full performance, towing, dimensions and pricing info, please cruise over to the full Ram Heavy Duty review here. Confession time: we had never driven the Ram Heavy Duty trucks until some seat time in this loaded 2500 HD Cummins turbo-diesel. After a short stint at the wheel of the Ram HD trucks, the conclusion is mostly good. 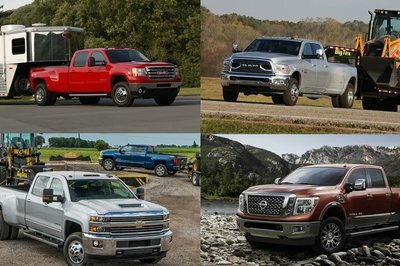 A solid B+ and a strong way to earn conquest sales from Chevrolet, GMC and Ford with exclusive comfort and tech. 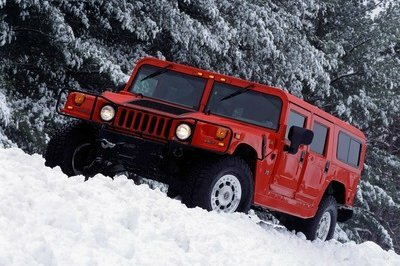 All great news for buyers eagerly anticipating the 2014 model upgrades like air springs in back.